We’ve been working on a varied set of tasks this last week, with the main additions being vehicles, environment art assets, as well as improved menu/HUD, new AI behaviors and Split Screen Co-op. One new entity the player will be able to hack are vehicles. In the world of Daedalus most vehicles will be self driven, and as such can be hacked into and commandeered. This will prove to be a useful way of travelling large distances without attracting too much suspicion, or for creating diversions. We may also implement challenge modes that utilize these unconventional ways of using vehicles. 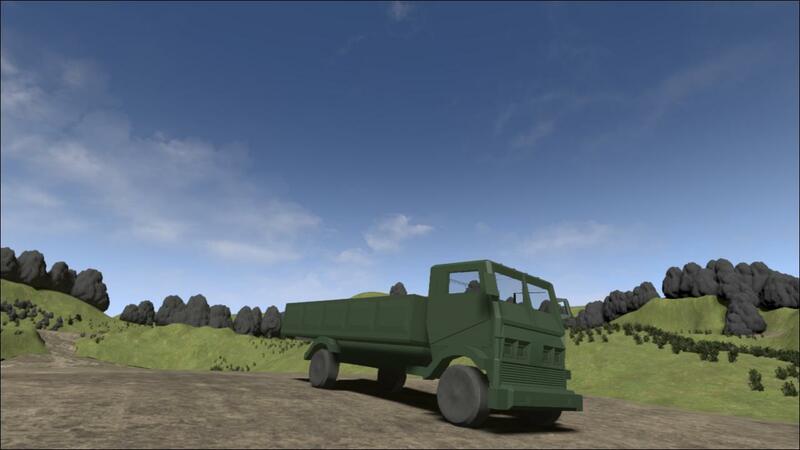 The gif above shows the basic cargo truck, but we aim to add an APC, buggy/4×4 and perhaps some special command vehicles over the course of the next few weeks. To help flesh out how the environment will look we’ve started to create basic whitebox meshes. These have helped to break up the box rooms we had earlier, although it’s very basic at the moment. Over the next few weeks we’ll have more detailed environments with new materials that should look very shiny. We’ve also swapped out some placeholder assets for slightly less placeholder-y assets, such as the mission collectables. Another area we’ve tried to improve the general presentation of the game is the HUD and menus. This is still all a long way from the finished thing but it serves to help us identify and hone the flow of the menus, as well as what information is lacking in the HUD at the moment. 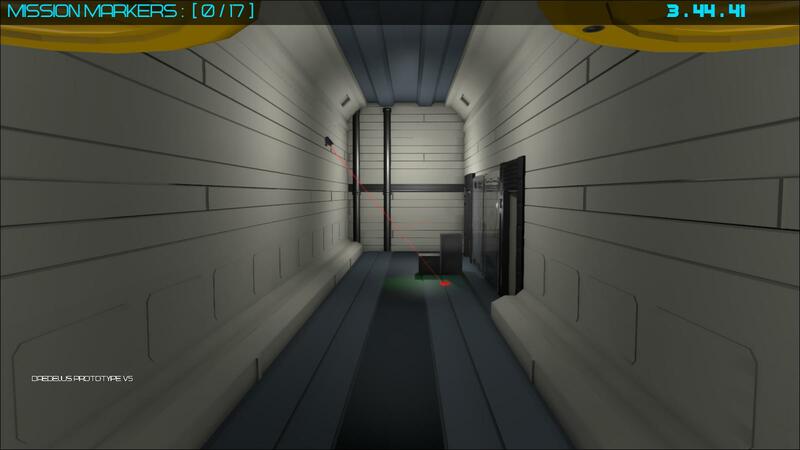 We will be aiming to add a threat indicator, speedometer and rangefinder/altitude meter to help the player navigate the 3D space efficiently, and also give them a helping hand as to where the may have been spotted from. We’ve been working on fleshing out the AI, and to this end we’ve set up a basic system for investigating things that are out of place in the environment. For example, if a player knocked over a chair, even if no one has heard it a guard will realise it has moved and become suspicious. In addition to this we’ve set up special waypoints for searching areas that are off the normal patrol route. 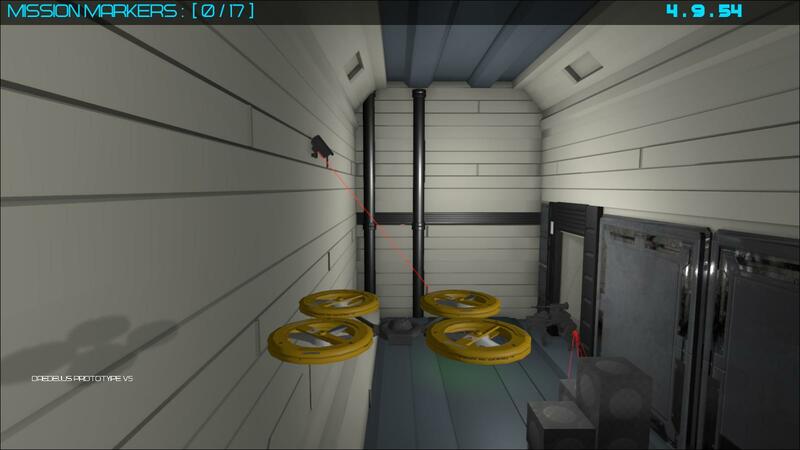 This allows a level designer to place waypoints where they believe the player is most likely to hide, and ensuring the AI does not randomly search a room looking for the player in odd places. It is also now possible to tag an object as “hideable”, meaning that a guard will prioritize that object in their search as it is easy to hide in/on/under. Whilst we had previously set up a competitive splitscreen mode, we now also have a co-operative splitscreen mode. This is simply a co-op variant of the time trial mode, in which both players work together to collect all the pickups in a level before a timer runs out (while remaining undetected). Thanks for checking out the blog, more to follow next week on the 22nd! This week has been an interesting one for us as we have started to set up AI behaviour and Split Screen multiplayer gamemodes. The feel of the game is starting to come through now that the player has an unpredictable threat to evade, so we will soon move on to creating the greyboxes of the story mode environments and begin fine tuning how the game will play. During the last week we began working on basic enemy AI using the Guard Dog that was set up the week before. The AI will patrol an area, detect and chase the player and return to it’s patrol route if they cannot find the player. We will be constantly expanding on the AI as we want a broad spectrum of behaviours that will make the enemies feel like actual humans/drones. It is also possible to hack and possess these Guard Dogs (as shown last week). This can be used to attack enemies or pass through a hostile area without attracting suspicion. 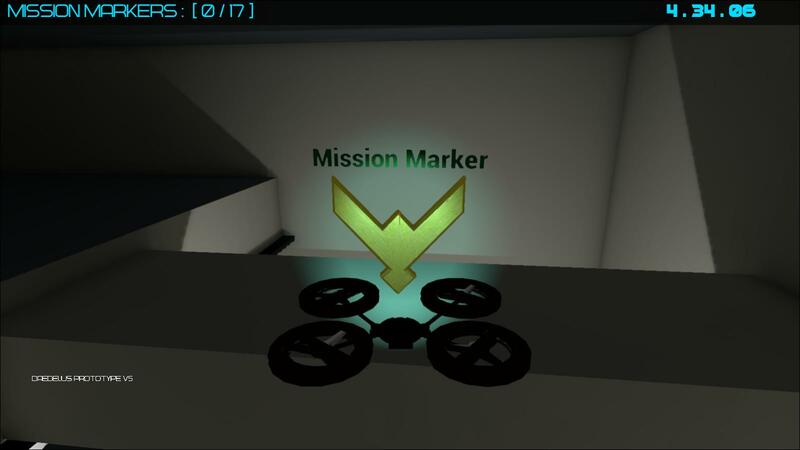 The Quadcopter remains static when hacking, so it is vulnerable to detection if you left it in a bad spot. As well as this, if the Guard Dog is too far from the player they will lose connection to the Guard Dog. Replayability is something we are aiming to make the most of, so modes like split screen allow us to provide a lot of replay value relatively simply. At the moment we have a competitive split screen mode, which is a variant of the single player time trial mode. In the current mode players compete to collect the most pickups in a short time period. Whoever collects the most wins. If a player is spotted or killed, they immediately lose all their points, usually winning the game for the other player (unless the other player has no points either, then it’s a draw). Over the next few weeks we will be adding new competitive and cooperative modes. Players won’t just be playing as drones in these modes either, we aim to have Quadcopter/Guard Dog modes where one player (as a Guard Dog) protects or hunts the other (who controls a Quadcopter). Another new enemy type is the auto turret. These are fixed machine guns that scan an area in a similar vein to the security cameras, however instead of raising an alarm when a player is detected, the open fire with lethal accuracy. Turrets can be hacked but not possessed (yet at least). Whilst they do not raise an alarm themselves, the noise of gunfire will attract attention unless no one is nearby. Next SitRep is on the 15th August, with hopefully plenty of new things to show! Thanks for reading! This week has been a busy time for us as we prepared the game for it’s first showing at Gamebridge in Middlesbrough on Wednesday. 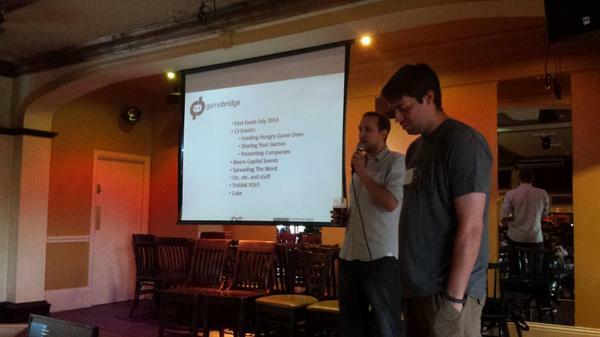 It was a great event, met a load of people I’ve never met before and caught up with a few familiar faces. Also caught a glimpse of some really cool games I’d never seen before, and saw the progress of some I’ve already played (such as the brilliant Gang Beasts). The reception to the Daedalus build we had was really positive, so thanks to all who dropped by and gave it a go, and a big thanks to Olly Bennet and Bruce Slater for organising the event! This was created for the Gamebridge build as a way to demonstrate the core gameplay components in a short space of time. It will also appear in the finished game as a challenge mode, and it allows us to start evaluating different ways in which the game will play (speedrunning, for example). The mode takes place on a new level that is more akin to what we want to construct, in terms of level design. The level features a network of vents, natural caverns and security measures that the player must avoid while finding all the objectives in the allotted time. The .gif below shows the player collecting a node in the time trial map. We’ve also experimented more with the areas in this map, so in addition to the corridors of an underground bunker the player can find ways to get into the natural rocky areas surrounding the base. 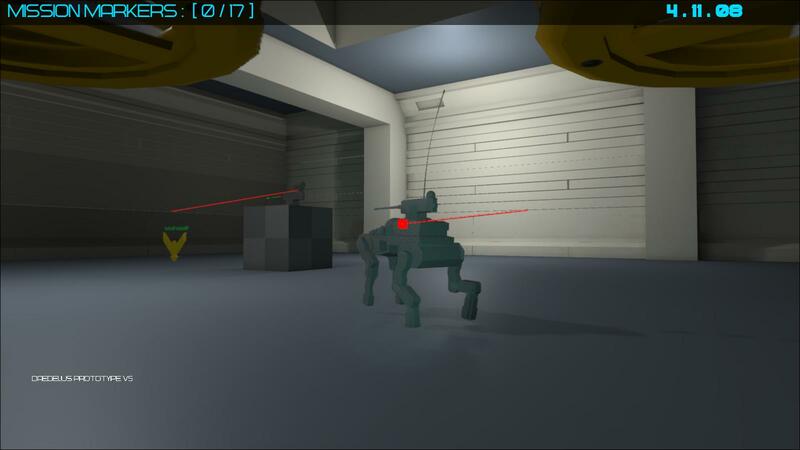 At the moment I’m working on setting up our first mobile enemy, a robotic “guard dog” inspired by Boston Dynamics’ Big Dog. These machines will patrol areas that may be unsafe for humans and carry a high caliber machine gun that will make short work of the player if they are detected. In times of high alert, they will be called in to assist human search parties in tracking the player. They are not without their weaknesses however, the player will be able to hack them and take command of them for a short period. This will allow the player to either deal a lot of damage (but alert a lot of enemies in the process) or access areas without attracting much suspicion. This will also appear as a playable class in the challenge modes, with some challenge modes that are unique to the guard dog. More of a behind the scenes update, the Alert System has been expanded to include regional alerts (so the entire base will not be alerted until the alert has reached a high enough level) as well as multiple stages of alert. The player can avoid triggering an alert if they are quick enough, as there is a very brief window to escape a cameras view cone. 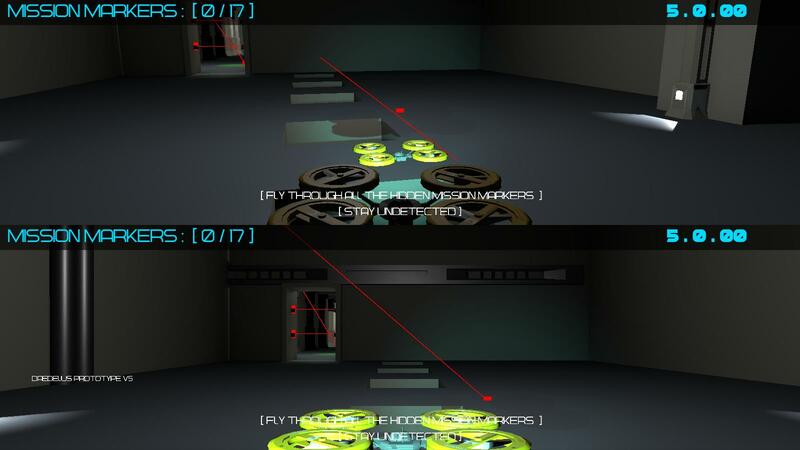 If the player is spotted multiple times, then doors and objectives can become locked until the alert level has diminished. We’ve started to expand and tidy up the HUD, moving away from debug text and visuals and test a few nicer looking assets out. As I posted on Tuesday, we have a basic Main Menu which has since been tweaked a little. We intend for the menus to expand the game world a bit, so that even if you haven’t started to play the game you are finding out more about the narrative through the backgrounds etc. The next SitRep will be on Friday 8th August, but I aim to add some more info during the week. Thanks for checking out the game!